In today’s big, beautiful world of CPG, gaining a competitive edge is only getting tougher. Great ideas can be imitated, amazing customer service is expected, and price has to be fair. So when the CPG space is bigger than ever before, what’s the unbeatable component that makes your brand stand out? It may not be your first guess, but the answer is purpose. It’s why your brand exists in the world, why your team has dedicated their valuable time to help it grow, and why consumers’ lives are better because of it. No one knows the impact purpose has on a company’s success like Dr. John Izzo. He’s been a pioneer in creating thriving businesses for over twenty years, an author of six best-selling books, and a recent guest on our Brand Builder podcast. His newest book, The Purpose Revolution, shows leaders and companies how to transform their corporate culture so they can succeed in a world where purpose is essential, and demanded by consumers. We picked his brain to find out why purpose matters and what it looks like for emerging and established brands alike. 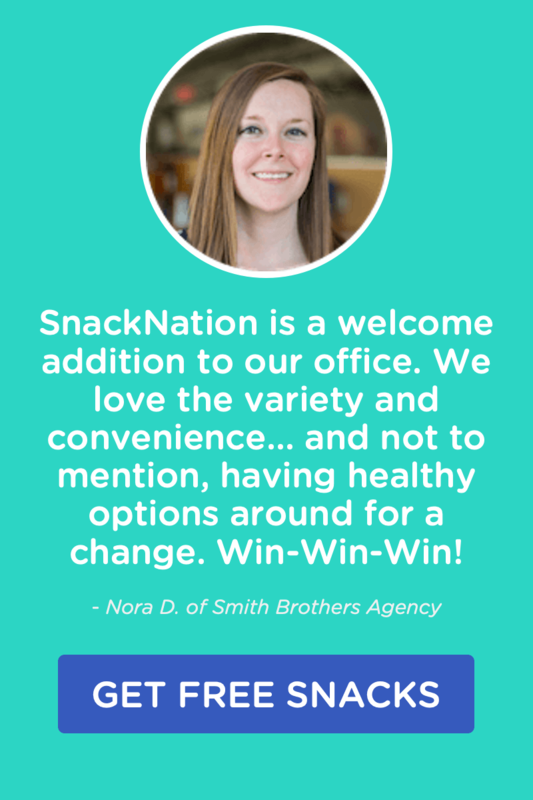 Millennial consumers are no longer ‘snackwalking’ or mindlessly choosing their snacks. They’re taking a closer look at the brands around them and they’re hungry for products with purpose. A recent Edelman Goodpurpose study showed that 80% of consumers were willing to pay more for products from companies with a purpose. However, consumers often say that they’re confused about whether the brands they buy are actually “good”. The companies and brands that can tell an authentic story of purpose are winning customers, and the surest way to be authentic? Instill that purpose from the inside out. That means starting with you and your team until it trickles all the way down to your future fans. It isn’t news that a sense of purpose for a brand or company can make a positive impact. After all, in a recent Harvard study, 89% of CEOs agreed that activating purpose and social good within their company would make a big difference. But when asked how it was coming along, only 45% of CEOs felt they were doing a good job of inspiring purpose. That’s because making purpose a cornerstone of your company and using it as a motivator for your team takes work. But those that have the heart and commitment to make it happen have the chance to boost the mood of their team and create a domino effect that leads all the way to consumers. Take a step back and shine a light on your communication with your team. How often are you addressing your brand’s purpose? How much of your communication inspires your team to feel they’re doing meaningful work? According to Dr. Izzo, the ratio of task- or profit-focused communication to inspirational, higher purpose communication is 80:20. The goal? Get it closer to 50:50. By firing up your team about why your brand exists, you create an excited energy that manifests into more team brainstorms of how to make that vision come to life. For one company, Dr. Izzo suggested beginning meetings by sharing stories with employees about how their work was making a difference. They even opened a space for employees to share their own success stories. By reminding each other why they were doing the work, and how it manifested in the real world, employees were able to feel a sense of purpose that resulted in a 25% gain in employee engagement and 18% increase in sales. Who knew purpose had such a great ROI? Show employees what their contributions look like in the real world by bringing in customers that have experienced a positive change through your being there. 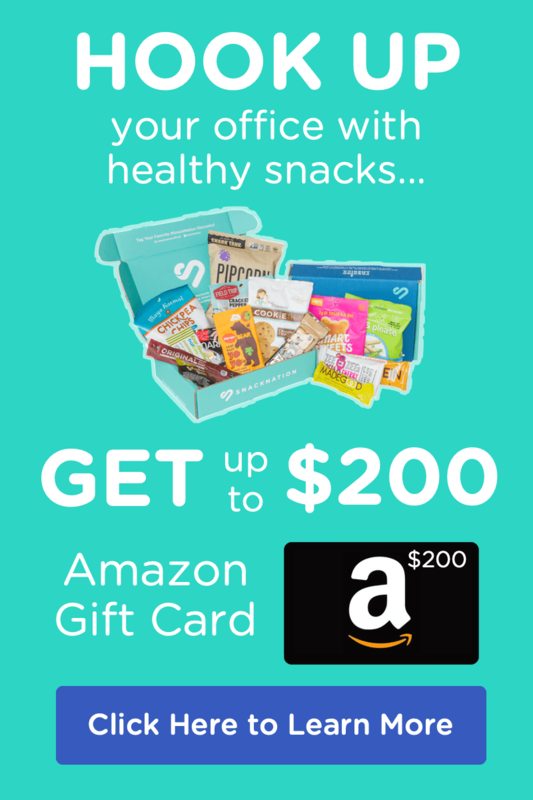 This not only gives your team a glimpse of what their work means for the world, but also gives your brand the chance to build a loyal base of consumers by giving them an inside look at a product they love. Remember, only one-third of CEOs are successfully inspiring purpose, and 80% of consumers are looking to pay even more for brands that show real, authentic purpose. These gaps only prove that there is a major opportunity to push past the noise and effectively answer the question of why you exist to both your team and your consumers. After all, a great product can be imitated, but the core purpose behind all your hard work is aaaall you. 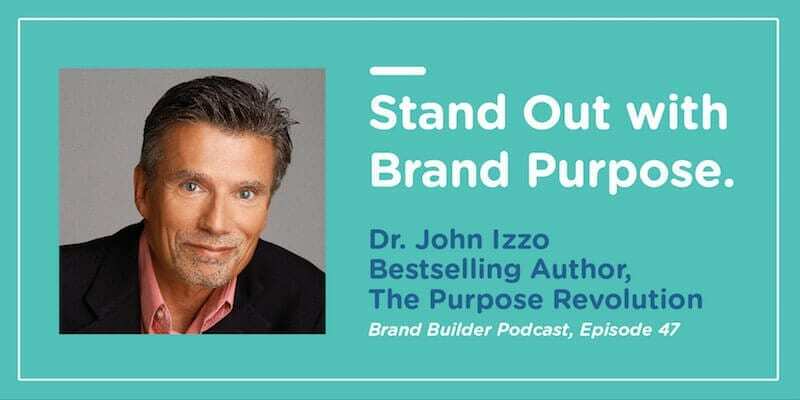 To listen to Dr. John Izzo on the Brand Builder podcast, click here. And to learn more about the people, stories, and lessons behind the most innovative natural food and beverage brands in the world, listen to the rest of our Brand Builder podcast episodes by clicking here. The Business Case for Purpose, Harvard Business Review Publishing, 2015, https://hbr.org/resources/pdfs/comm/ey/19392HBRReportEY.pdf.